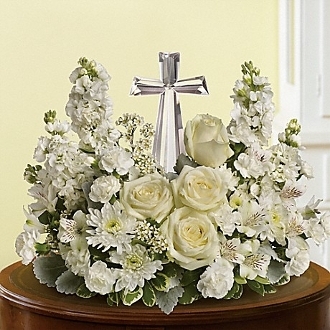 A stunning tribute of white flowers and a glass cross is a great memorial to represent the life of a loved one. 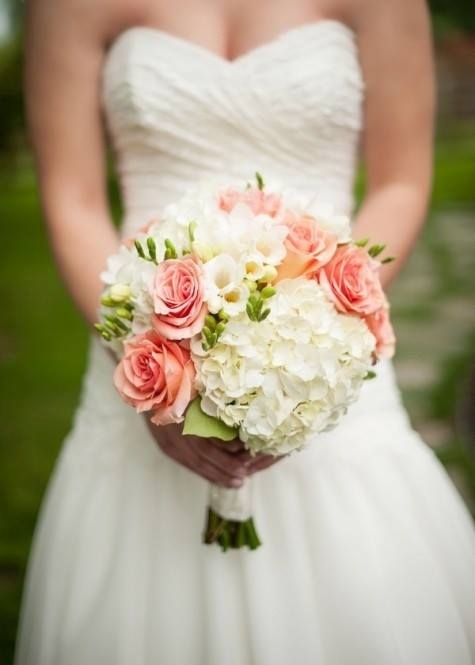 This design includes white stock, beautiful alstromeria, roses and white mums. 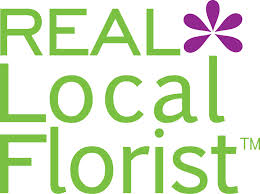 Premium size includes roses and lilies. 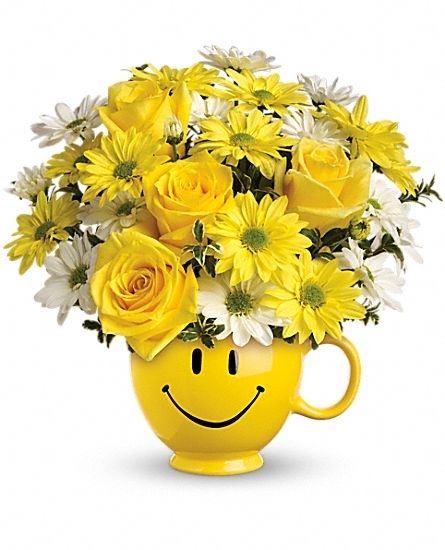 This approximate size of this arrangement is 16 inches in diameter and 16 inches tall. Premium size is larger in size.